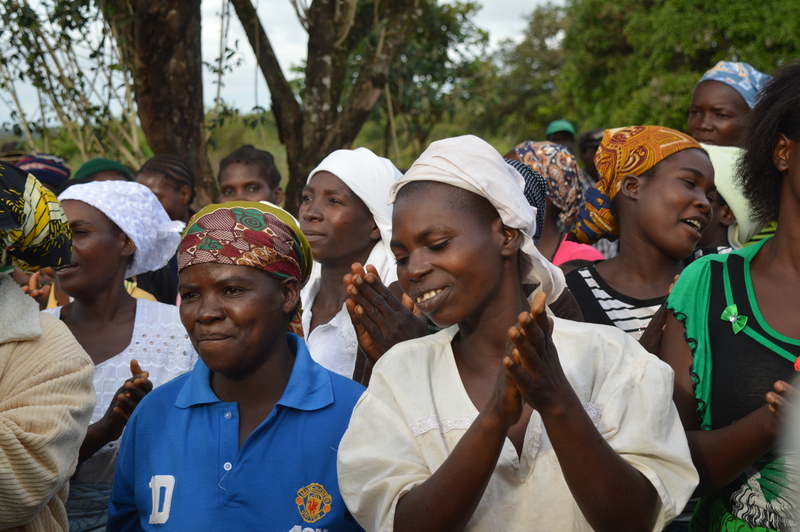 Mozambique ‘from the field’: Going beyond and scaling up – One Billion Hungry: Can We Feed the World? Importantly, they are also learning valuable lessons about best-bet agronomic practices through AGRA’s ‘Going Beyond Demo’s’ approach, leading to an improvement in their agricultural production and livelihoods. 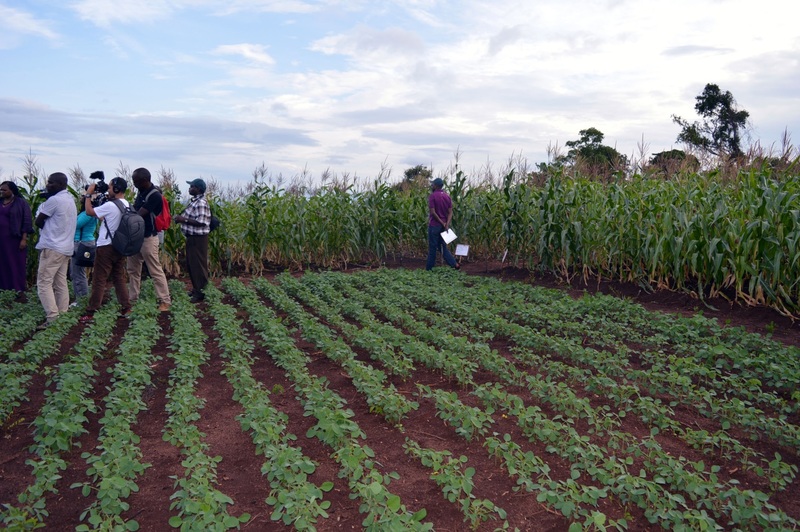 I was shown around the soil improvement demonstration plots where farmers are trialling the effectiveness of six different combinations of inputs and agro-ecological practices to grow maize, the Pan 53 Hybrid variety. While farmers in many parts of the world regularly harvest up to five tons of maize per hectare, African farmers typically harvest one ton. Pan 53 has a potential yield of between 6 and 10 tonnes per hectare. It reaches maturity in 115-120 days, faster than many other varieties. The seed can result in a high quality hard grain making it more tolerant to insect damage, plus it is resistant to all major maize diseases. The aim of these trials is to improve the soil fertility and gain maximum yields. Of the six different trials, the one that uses a combination of lime and NPK (nitrogen, phosphorus, and potassium) fertilizers while spacing plants 25cm apart is proving to be the most successful trial. The least successful is the control plot – also Pan 53 hybrid, but without fertiliser, mulching or lime. This is because while the NPK fertiliser replaces much needed nutrients that have been lost from the soil, the addition of lime reduces the soils acidity, enabling crops to better absorb the available nutrients. Additionally, by microdosing the fertilisers with the use of a cola lid directly onto the crop root, the fertilisers are applied directly where they are most needed. This ensures that the fertilisers are not wasted and that the correct amount is used, minimising any unnecessary environmental damage. This prudent use of inputs has led to an increase in yields compared to the control plot where no inputs were used. 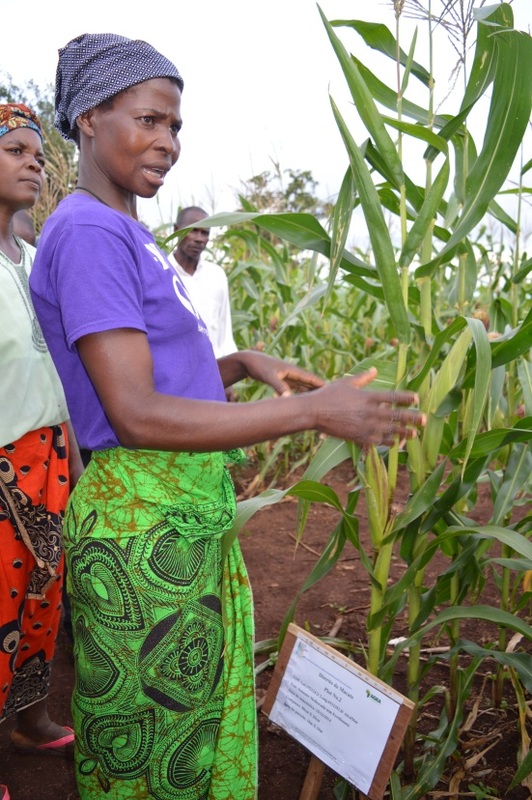 Farmers in the Zano Ramambo organisation are using some of the methods learnt through the demonstration plots on their own crops, which results in increased production and improved livelihoods. However, there are barriers that prevent all farmers from adopting these methods. For example, one farmer tries to emulate the most successful trial with her own crop, but can only afford to use half the amount of fertilizer recommended. She would like to use lime as it is appears easy to apply and can see benefit from test plot, but cannot afford this either. Despite these barriers, last year Zano Ramambo collectively planted 108 ha of maize, cowpea, soya, vegetables, banana, and sweet potato. They sold 36 tonnes of maize and 6 tonnes of soya bean. The increased bargaining power that comes with a farmers organisation meant they received a total of 252,000 MZN ($6990) for their sales of maize and 84,000 MZN ($2330) for soybean, compared to 108,000 ($2995) and 60,000 MZN ($1664) had they sold individually. In the second season, production nearly doubled from 36 tonnes in 2006 to 67 tonnes of maize and 15 tonnes of soybean. With this additional revenue they are able to pay back the costs of seeds and fertiliser. Mr Fernando Cancao is the president of the Zano Ramambo. He farms 0.25 ha of maize intercropped with soybean and uses the agronomic practices promoted in the ‘Going Beyond Demo’s’ approach. 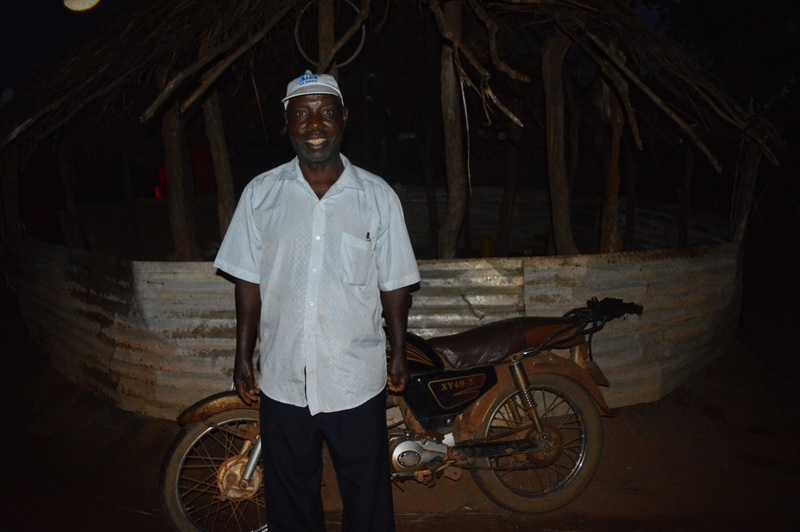 With his profits he bought a motorbike, solar panel for charging mobile phones, paid for his children’s education and is in the process of building a new house. A strengthened social capital in the form of a farmers organisation, combined with integrated support from AGRA in the form of improved agronomic knowledge and access to markets is showing early signs of success. 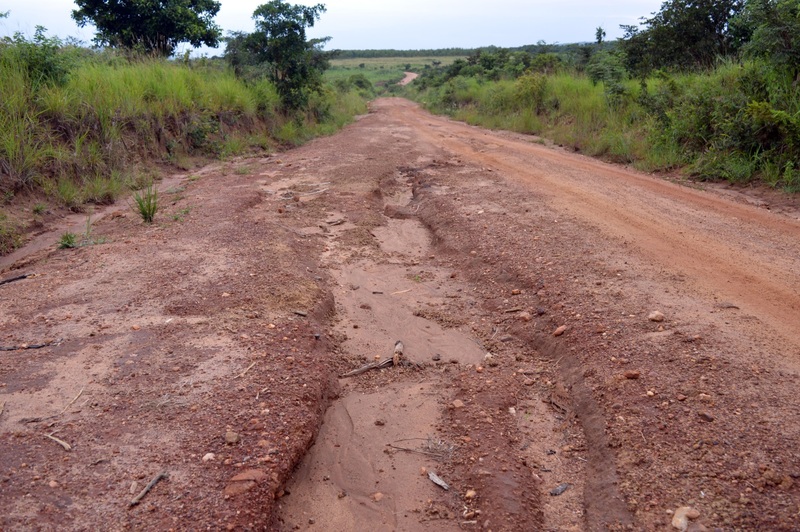 However there is a need to see this type of support scaled up, not just in Mozambique but across sub-Saharan Africa. Pilot studies such as AGRA’s ‘Going Beyond Demo’s’ approach must be expanded to generate location specific data on best agronomic practices for those specific soils. Further, inputs need to be made both available and affordable for farmers to improve their yields.